It's funny those things you put off. Pastry was the only area of the kitchen I never got round to in all the hotels I worked in, so I've taught myself over the last 10 years. 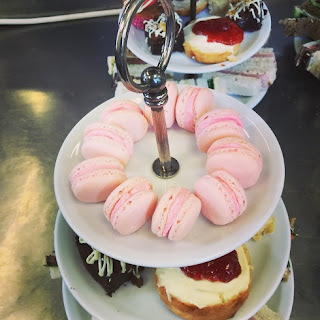 Macarons were that thing that I was always scared to touch. But, then, like everything else, someone asks you if you can do it, and the answer is always 'yes of course!'. And so it was, a couple of years ago. That first time, the first batch around midnight was a disaster, but the second batch at 2am turned out pretty good. It's all about learning from your mistakes. This time round they were simple - what's the big fuss - it's only meringue really. Rose syrup to flavour the macarons. Also nice to flavour prosecco. Apparently. 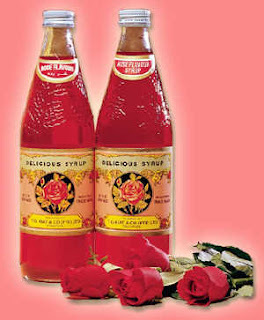 I used this recipe and flavoured it with rose syrup which you can buy at asian food shops. 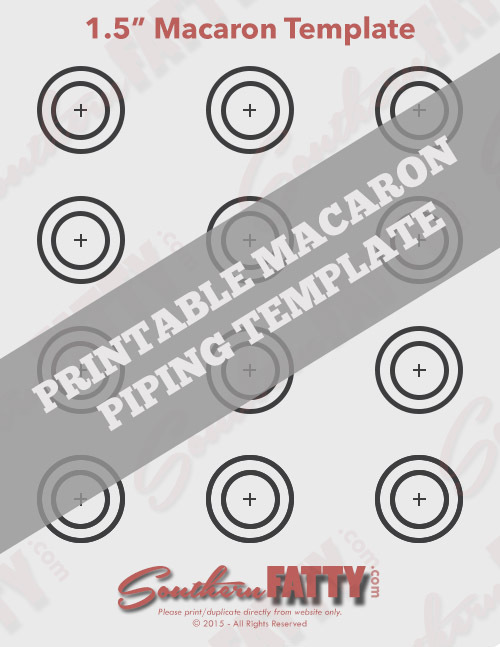 How far apart to pipe macarons? 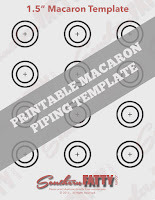 There's a handy template here - you just place your greaseproof paper over it and pipe into the circles - life made easy!